Are you interested in helping your family live healthier but feel overwhelmed and frustrated? Do you want to use natural remedies for various health challenges but don't know where to begin? 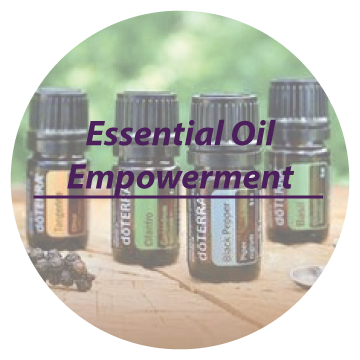 Want to learn how to use essential oils to improve your health and avoid toxins? I offer education, practical tips, and empowering solutions that fit into your real life. As a health coach (and a mom with 3 young kids), I completely understand that being healthier also needs to be efficient, cost-effective, and practical. I take away the overwhelm and frustration to help you feel empowered and inspired around your family's health. Ready to Change how your Family does "Healthy"? Sign up and get a FREE Junk Food Cleanse Guide! My goal is to coach you in a way that helps you feelinspired about your family's health. Working together in a judgment-free and guilt-free zone, we develop a practical plan to help you meet your wellness goals. There’s no silly talk of calorie counting or deprivation. No magic powders, pills, or tricks. Change is hard but having a coach makes the process way more interesting, fun, and do-able. Ready to feel empowered again? Let’s do this! Curious about how health coaching can help you? Let’s talk.